Let’s face it; seduction and dating products are becoming more and more niche and specialized. 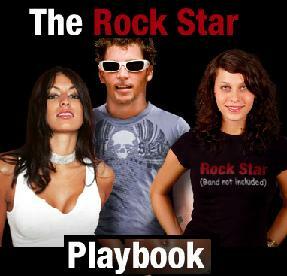 The Rock Star Playbook is one of those. 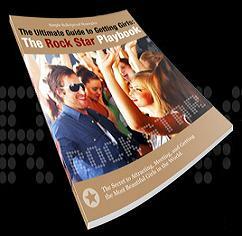 It is for those who want to be ROCK STARS BABY!!! … and I guess we all can be rock stars! Anybody can be a rock star!! You just need the tools to bring out YOUR larger-than-life personality and lifestyle. You see ordinary guys meeting and picking up beautiful women every day. They’re not rich or handsome, and they’re not famous. But they live like rock stars and they get all the girls, all the time … they’re the everyday rock stars. * Learn the real secret to building rock-solid unshakeable confidence. * The top 5 places to meet women. * 4 skills every guy must have to attract women. * How to start a conversation with any woman, any where, any time. I’m sold …charge my card!